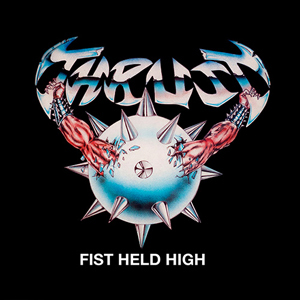 In celebration of THRUST's 35th anniversary, Metal Blade Records is releasing the ultimate edition of the band's classical 1984 album Fist Held High. The release includes the entire album, live and demo tracks from the beginning through the late 80s, plus the unreleased studio album Reincarnation, recorded in 1988/1989 and produced by Bob Kulick! Visit metalblade.com/thrust to listen to the title track from Fist Feld High and order a copy of this special edition release! THRUST guitarist Ron Cooke comments: "A big Thank You to the fans who never stopped playing the music. After all these years it's always been about the music, standing the test of time, connecting with the fans soul, pouring out the creative spirit through the music into the hearts of many and return filling our hearts. For that is the true connection between the heart soul and each other. That is why the music will always live on." Fist Held High will be released as a double CD boxset on June 2nd, 2015!